Dumping Diet Soda was the best thing I ever did. It wasn’t easy at first. Yes. I had some headaches and I actually felt like I had the flu for about three days. Now what does that say about diet drinks and them being good for you? So, after making some 100% Natural Sparkling Limeade last week, I decided to try it out with some strawberries. It was lovely! So I’m happy to share it with you today. 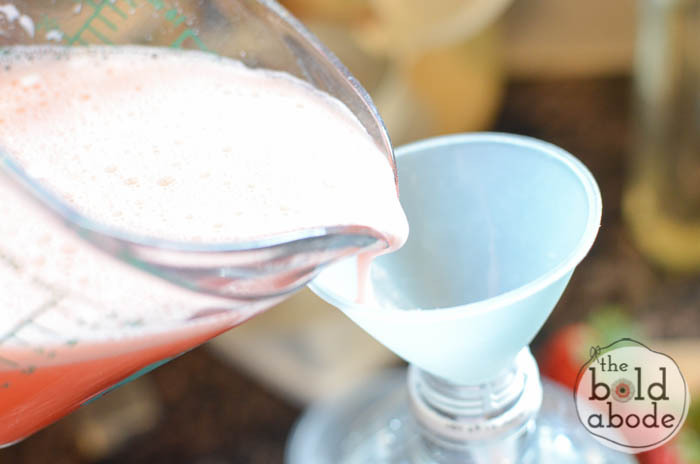 Juice your limes and strawberries together in a juicer if you can. 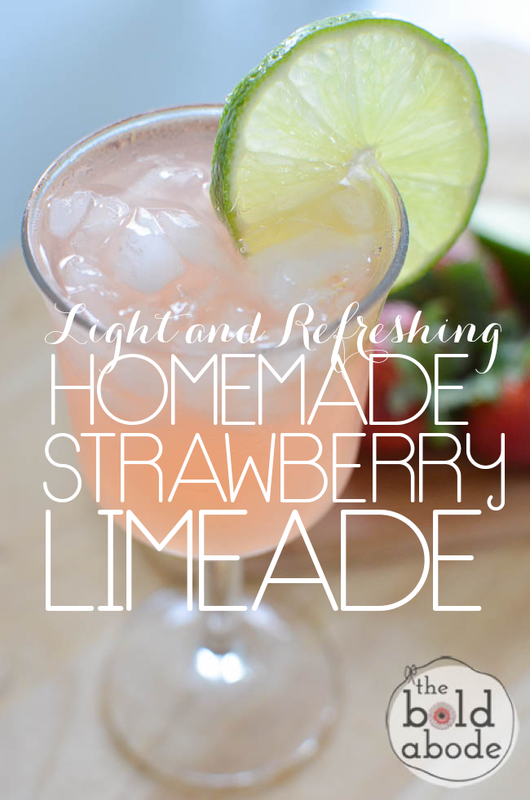 To see what I recommend, just visit my Sparkling Limeade post. 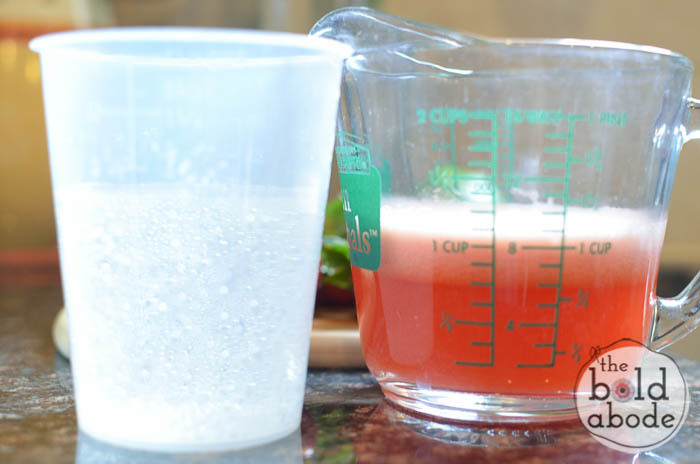 Make sure to remove about a cup of water from the 2 Liter so you have room to pour in the juice mixture. Pour the juice mixture into the water VERY slowly… and keep some paper towels on hand. If you are using the Stevia in the Raw, you’ll get a lovely, bubly reaction. Sometimes, I forget and it’s gets away from me! Close the lid and gently mix the concoction by turning the two liter over a couple of times. And that’s it! Ice and enjoy! 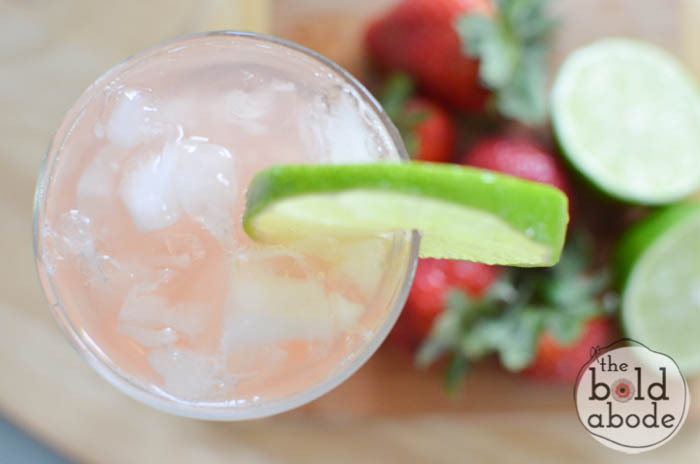 A delicious strawberry limeade sparkling water. 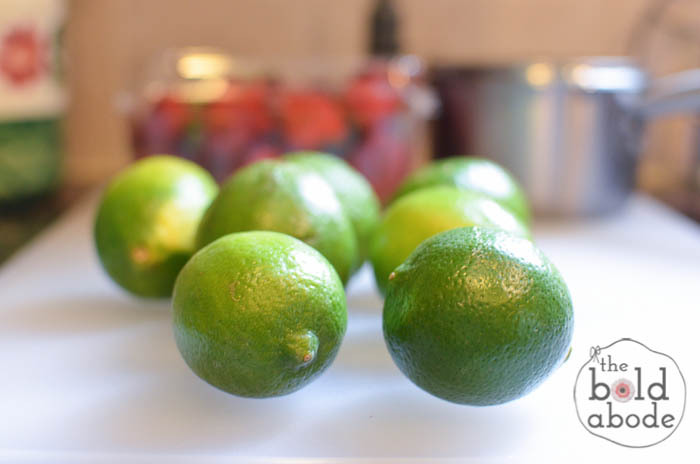 Juice the limes and Strawberries in your juicer. Don't have a juicer? Just juice them manually. Mix the juice with your sweetener. 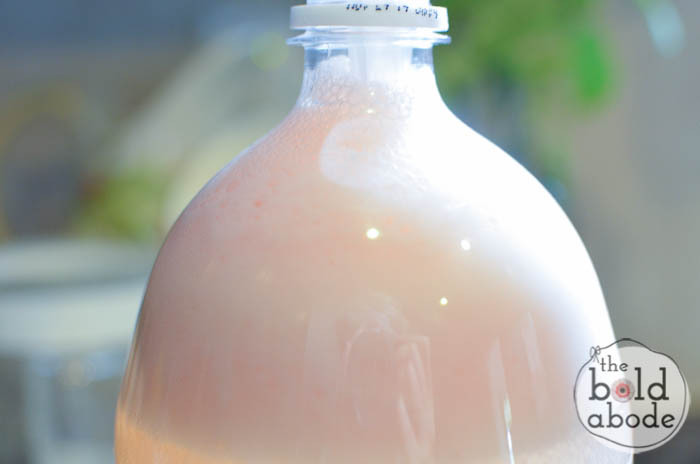 Using a funnel, carefully pour the juice mixture into your 2 Liter of water. 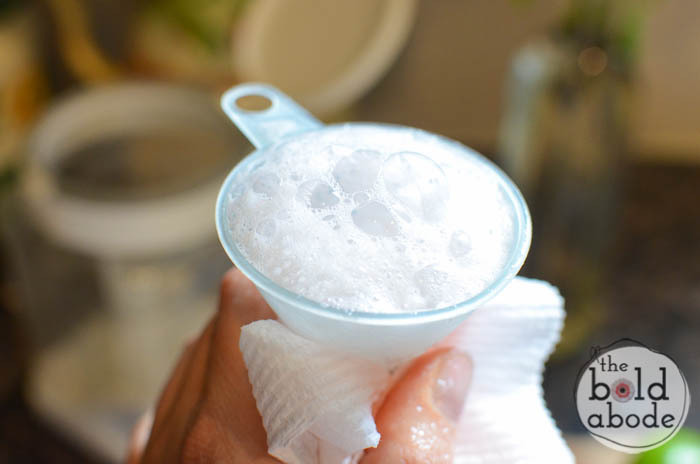 Keep a paper towel handy because the Stevia like to bubble up when it hits the water. 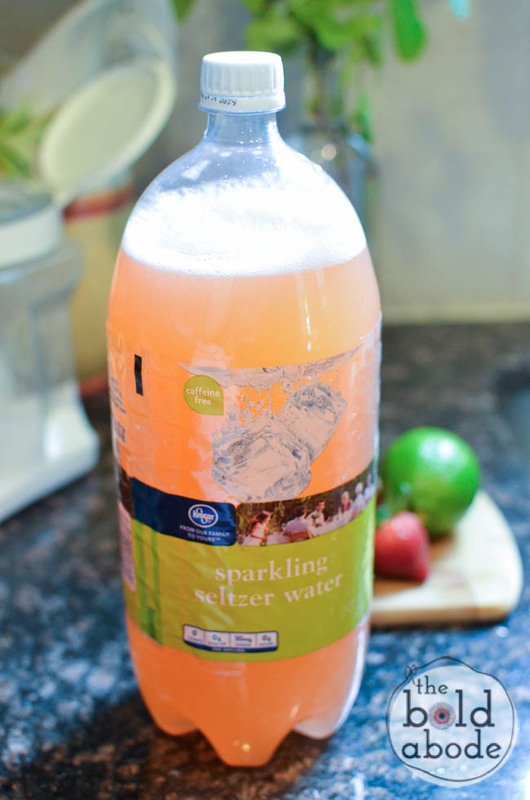 100% Natural Sparkling Limeade: Just say Ahhhhhh…..
Im pinning for later… like hopefully this weekend!!! Haha! You are so welcome, Stacy. I hope you like it!!! This is great. I pinned it. Thanks so much, Gray! Love your name btw!